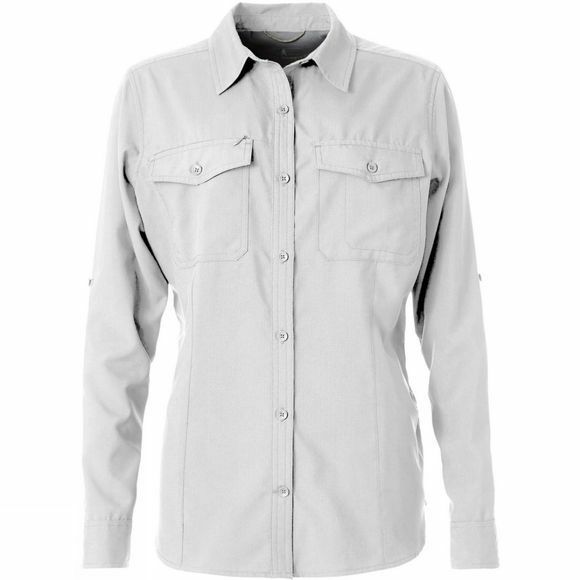 The Women's Expedition L/S Shirt from Royal Robbins is designed to be a versatile active travel top that works especially well in hot weather. It has heat-activated, thermoregulating TempraTech mesh on the back neck panel to combat hot weather and keep you dry, cool and comfortable, and to enhance performance features like UPF 50+ protection, lightweight, and quick dry. Wrinkle resistance, a bit of stretch, and a polished look make this women's long-sleeved top perfect for active travel.